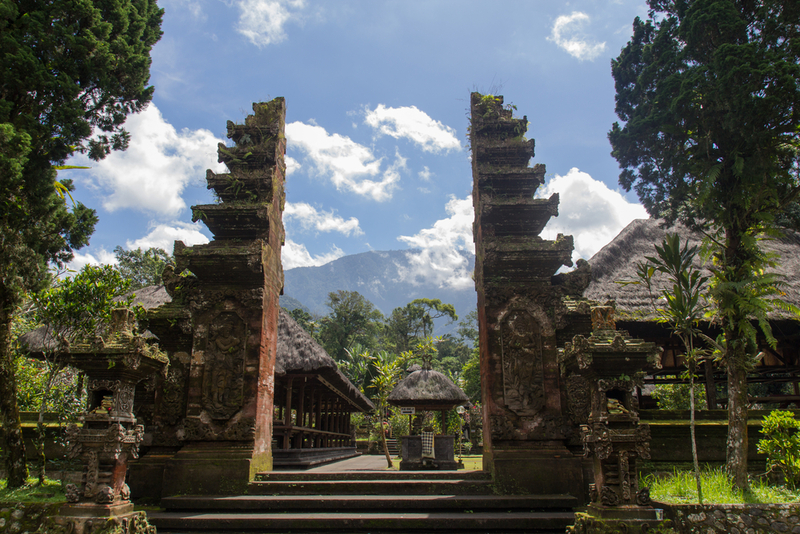 Summer is a bustling and busy time in Bali with plenty of religious and cultural events that are open to everyone. The religious events are especially intriguing since Bali has such a unique take on the major religions that are followed on the island. If you are visiting Bali during this time, check out these events. The month starts off with a sacred commemoration. On May 5th, locals and visitors alike gather to give thanks for and celebrate plants and trees. Nature is a central tenet of the beautiful Balinese culture and Tumpek Uduh is a day where Balinese dress trees, especially coconut trees, in traditional clothing, such as a tlie udeng, kamben, and a saput, drawn across the trunk like a belt. Produce of fruits and flowers across plantations, gardens and farms are decorated and trees are hit with a ceremonial hammer, as a prayer for an abundant harvest. 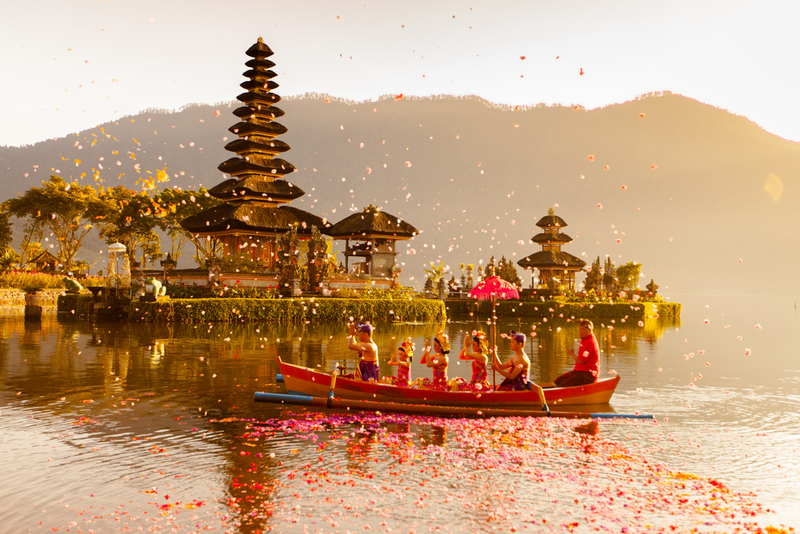 On this day, take the time to re-connect with nature and partake in its honouring, the way the Balinese have for centuries. Halfway through the month, on the 15th of May, plan a day journey from the Bali Intercontinental Hotel to the picturesque and majestic Ulun Danu Beratan Temple. Located on the western side of Beratan Lake, this scenic spot receives more than its fair share of daily visitors. Yet, on this auspicious occasion, crowds from all over gather in central Bali to attend prayers, for its ‘piodalan’ anniversary that occurs biannually. Set atop the shimmering Lake Betaran, the temple is a photographer’s favourite as, when water levels rise, it looks as though the temple is floating on its surface. Besides the celebration and prayers, visitors can visit the various shrines within and partake in activities like boating and parasailing. With the start of the windy season, the residents of Bali begin flying colourful kites all the time. The main festival takes place along the eastern coast of Padanggalak. This festival started off as an agrarian festival to thank the heavens for the harvest. 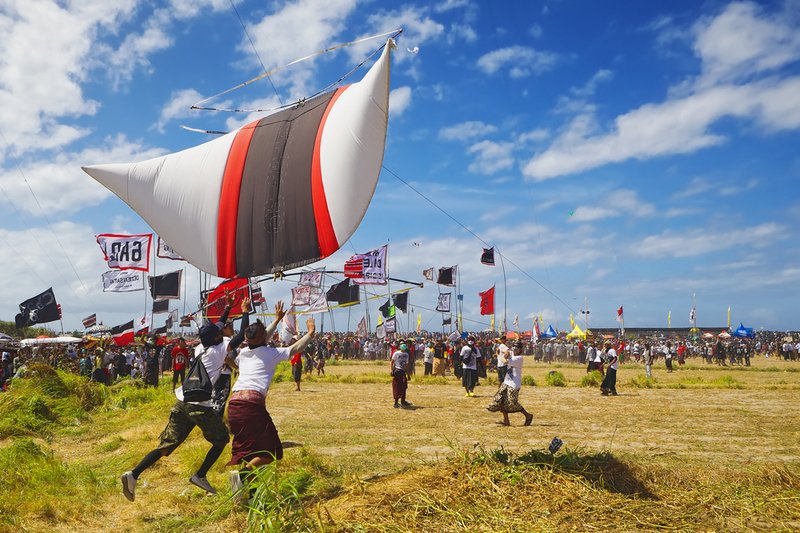 During the festival, groups of young people participate in a kite-making contest where the innovative designs range from 3D kites to motifs that include Hindu gods, cars and motorbikes. Enjoy the balletic movement of kites in the sky during this period. In Bali, it’s not a matter of ‘East Meets West’, Rather, it’s a case of ‘East Meets Further East’. Galungan closes out the month with a three-day celebration, running from the 29th of May to the 31st. A major holiday celebrated by Balinese Hindus, this period marks the ‘triumph of good over evil’. 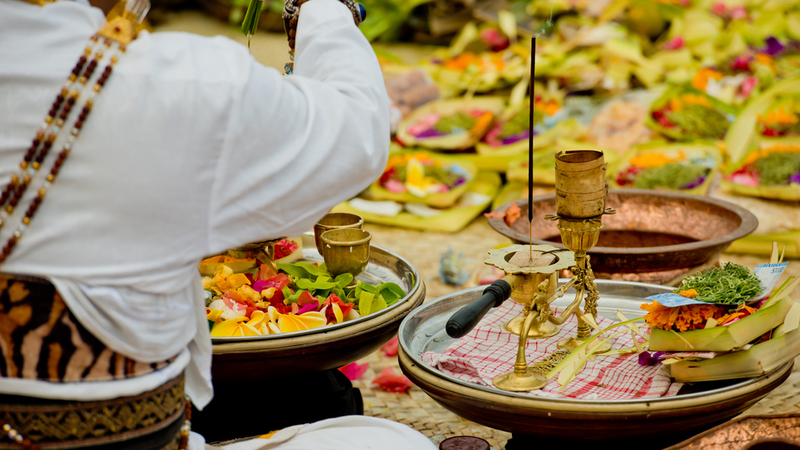 Offerings, rituals and prayers are performed both at home and at shrines within temples across Bali. There are beautiful and meaningful processions that take place in the street, which you can partake in. As you began the event-packed month of May with a piodalan anniversary, it’s time to bring it to a close with another temple’s celebrations. 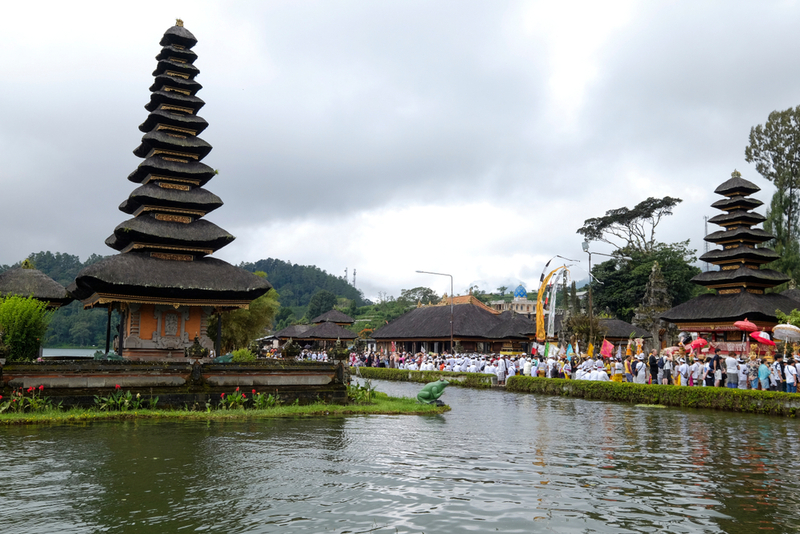 This time, the Batukaru Temple, also known as Pura Luhur Batukaru, celebrates its biannual anniversary on May 31st. Besides the prayers at the shrines, the multi-levelled temple, nestled right at the foot of Mount Batukaru, also has plenty of kiosks within the parking lot with vendors featuring snacks like klepon and palm sugar-filled gelatinous steamed rice flour balls and served with shredded coconut. The structure and architecture of the temple itself is quite a sight. Situated as it is 2,270m above sea level, this temple complex is surrounded by natural forests and works a sense of the mountainous elevation and ascending terrain into its structure, using courtyards on various elevations and tiered roofs. A beauty to behold, made even more special during the piodalan occasion. The Werdhi Budaya Art Center is the main venue for Bali’s biggest showcase of arts on island, the Bali Arts Festival. 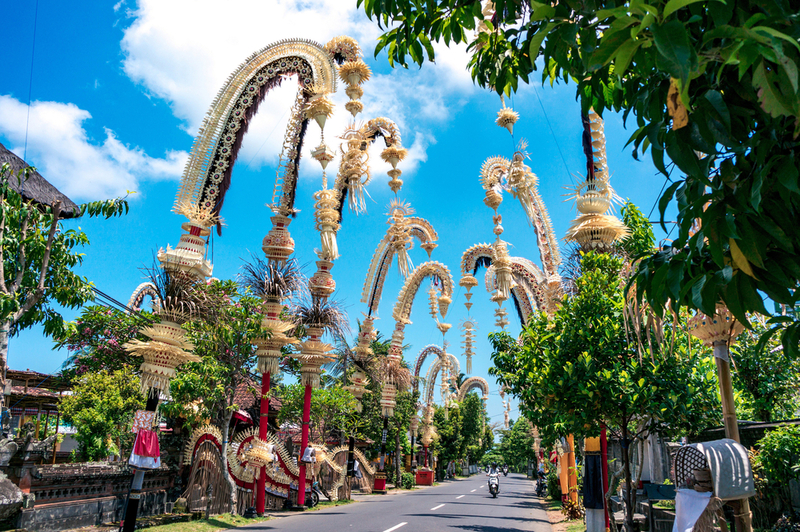 The festival takes place from mid-June (it starts on 16th June this year) to mid-July and it is the best time to catch the myriad of beautiful performance arts that Bali is famous for. The 40th edition of the festival will also highlight handicrafts, painting, sculptures and even documentary screenings. Art connoisseurs will have many opportunities to sample the best of Balinese art and culture.